2008 TGB 101R 150. Picture credits - TGB. Submit more pictures. 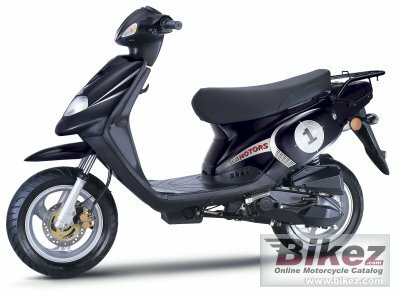 No frills just the greastest little scoot, 150cc�s in a tiny little body. Beat everything at the lights (except road bikes). Review of the 101R 150 submitted on 2010-03-01. I love my TGB it goes really fast and handles really well. I have done 14,000 km in a year and it still goes hard. Super acceleration and top speed, I have had it up to 120km on my speedo, granted on a slight decline. The price is cheap. Oil cooled so you can ride it for hours on end, I use it for work and sometimes I ride for 10 hours almost non-stop and I live in Australia where it gets hot! Very industrial Scooter, the king of the midgets!!!!!!!!!! This review of the 2008 TGB 101R 150 was posted by a visitor on Bikez.com and does not necessarily reflect facts, truth or Bikez.com's opinions. Please report profane or otherwise inappropriate content by following this link.